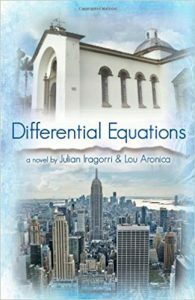 *On Monday, we are excited to bring you a guest post from one of the authors of Differential Equations, Lou Aronica. Lou will tell us more about the book as well as the inspiration for writing it. Differential Equations tells the tale of four seemingly unrelated people connected only by their geographical locations. Each character was interesting and could easily warrant a book unto themselves. In fact, so much so, it took me more than half way through the book to remember they were somehow tied together. In the dramatic culmination of these characters, it reminds us how intricately we are all tethered together. I have never read magic realism before, but found that it made me think of my own history – the rumors and tales that get passed down that we too often lend little credence to. Differential Equations took me on an interesting journey and did an excellent job of tying it all together. I would love to see a book in the future that follows the main character, Alex Soberano, to see how the knowledge he gained shaped the lives of succeeding generations. 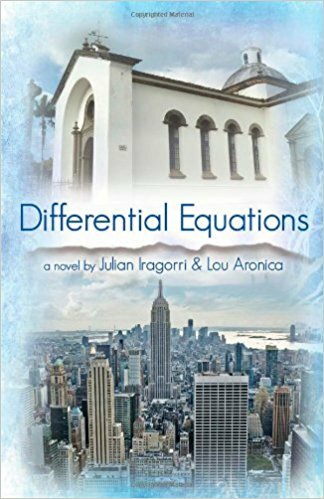 Don’t forget to check back on Monday to hear directly from Lou Aronica, one of the authors of Differential Equations. He’s going to tell us about the inspiration behind the book and what he loves about magic realism.